A new generation of emissions-free, distributed energy systems are being installed in homes and businesses across Sub-Saharan Africa, changing the face and nature of rural electrification, as well as models of international and socioeconomic development. 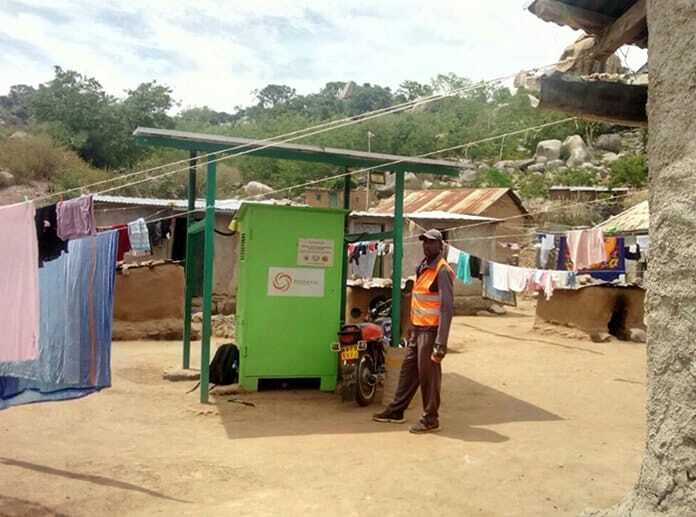 Off-grid, smart-metered solar photovoltaic (PV) panels and inverters integrated with battery energy storage systems are now powering energy efficient LED lighting and direct current (DC) household devices and appliances across Sub-Saharan Africa. 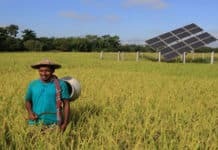 Coupled with widely available and widely popular mobile e-payments services, these “pay as you go” solar energy services are bringing the benefits of safe, affordable, reliable and efficient clean energy to rural towns and villages that have never known them. A growing roster of innovative, entrepreneurial start-ups and young, mobile pay-go solar companies have been attracting private equity and corporate venture capital, and more recently debt financing from banks, giving them the wherewithal to expand from East to West Africa south of the Sahara and beyond. Deployment of community “solar plus storage” microgrids, equipped with secondary, back-up diesel generation where viable, holds the promise of potentially more efficient and effective means of rural electrification and sustainable development. 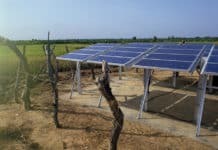 Having carried out a rural microgrid feasibility study for the US Trade and Development Agency (USTDA) and the USAID-led Power Africa program last year, Atlanta, Georgia-based Renewvia Energy has commenced building three out of a planned 13 community “solar plus storage” microgrids in remote, off-grid areas of Kenya. Having installed 70 megawatts (MW) of power generation capacity in six countries, Renewvia has built an enviable reputation as a leading, international builder and developer of solar PV and solar PV-battery energy storage systems for commercial and industrial companies. Anticipating the phase-out of the US federal solar investment tax credit (ITC), management in 2013 decided to begin exploring new business opportunities where the combination of solar energy resources and market economics made projects viable without subsidies, CEO Trey Jarrard explained in an interview. That led Renewvia to take a closer look at Sub-Saharan Africa, where multi-lateral sustainable energy and international development banks and agencies have been partnering with local and international solar energy and clean tech entrepreneurs and startups and helping them acquire the capacity to offer mobile, pay-go solar and mini/microgrid services to poorly served and off-grid areas of the continent. 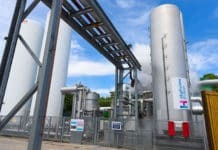 The search led to a connection with USTDA, which hired Renewvia to carry out an Africa microgrid feasibility study. Producing the feasibility study for USTDA, in turn, led Renewvia to launch its Africa Microgrid Initiative, enter the Kenyan market and initiate its strategic plan by deploying 13 off-grid, pay-go community solar-storage microgrids across the country. 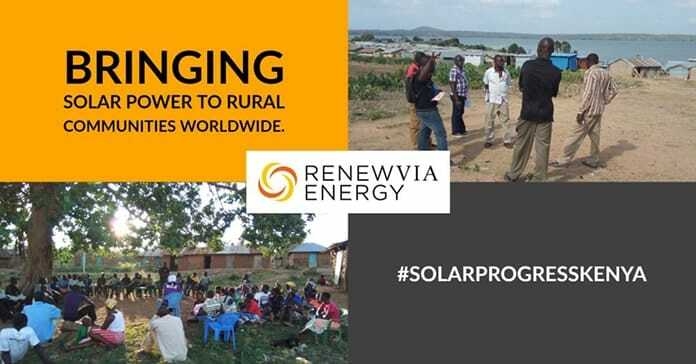 Stretching from islands in Lake Victoria to island and mainland communities along Kenya’s Indian Ocean coast, Renewvia expects its solar microgrid network will connect as many as 4,000 homes and businesses to clean, reliable and affordable energy services by the end of this year. Renewvia’s taking a larger scale, microgrid systems approach to the market distinguishes the company from most other companies in the field, which focus on selling solar-storage systems, LED lighting and energy efficient DC devices and appliances for households and small businesses. Similarly, Renewvia pay-go systems architecture differs from those of mobile, pay-go solar systems vendors. Solar microgrids for areas that have not and will not be serviced by conventional central power sources benefit residential and commercial entities in the same manner. [as do mobile, pay-go household systems]. Microgrids will bring the first reliable, affordable and scalable source of power without a large upfront investment. In contrast to household, mobile pay-go systems, customers avoid “the risk of managing assets as one would be required if purchasing a solar kit for their business or home,” however. Jarrard also pointed out that home solar kits are susceptible to breakage and damage, as well non-performance. “If an individual adds an appliance or two that requires more power with a kit, they would be required to start the economical obligation again,” he elaborated. The economics behind community solar microgrids are exponentially superior than solar kit ‘pay as you go’. Lastly, a community microgrid can scale with the community. The microgrid can enlarge in [generation] capacity and storage [capacity] as businesses expand, subscribers increase and individual household demand increases. Multilateral development agencies and international development specialists are eager to see what, and how much, in the way of broader-based, sustainable development benefits the rapid growth of mobile pay-go solar and community solar-storage microgrids convey. For its part, Renewvia has been devoting a significant amount of company resources to hire and train Kenyans, as well as working with multilateral development agencies, domestic banks and energy market regulatory authorities, and international private equity and institutional investors so as to take the budding market and industry ecosystem to a higher level. Jarrard also noted that installation of solar-storage mini- and microgrids in off-grid communities is relieving stress and strain on households when it comes to having ready supplies of freshwater. Solar-powered water pumps eliminate the laborious task of hand carrying water from the nearest source – which can take hours each day and is typically done by children and/or women. That, in turn, leaves household members a substantial amount of time to see to other matters. Looking out over the longer term, Renewvia has much more ambitious solar-storage microgrid development plans. 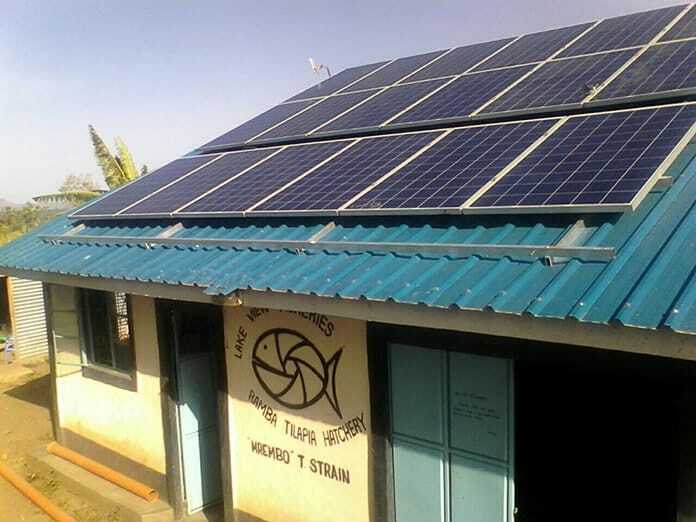 It is in the process of raising capital to finance the first phase of its Africa Microgrid Initiative, which entails building out 42 community, solar-storage microgrids across Kenya, Nigeria and Uganda. In preparation, the company has been acquiring and securing access to sites, reaching out to communities and regulators, identifying local partners, completing economic feasibility studies and carrying out social and environmental impact assessments, according to its Phase 1 project development agenda.